The season finished on a HIGH with our first Senior International WIN! lovely LAWA finished on his dressage score in the CIC* at Aldon to take top spot. Here is a link to his XC round, kindly given as part of our prize from An Eventful Life ( https://www.an-eventful-life.com.au/ride/alicia-hawker-lawa-aldon-international-2016-2). Having had some bad luck this season he ended with a string of top 6 placings and full of confidence for next season. This year has been a big learning curve moving up to 3* and the inevitable ups and downs horses throw at you, however, we have all come out better for it and learnt so much. Charlie (CHARLES RR) completing our first CCI*** at the Blenheim Palace International with a clear cross country which was very special…He hasn’t been easy but the best ones have quirks, and he really is one of the best cross country horses on the circuit (not that i’m biased!). 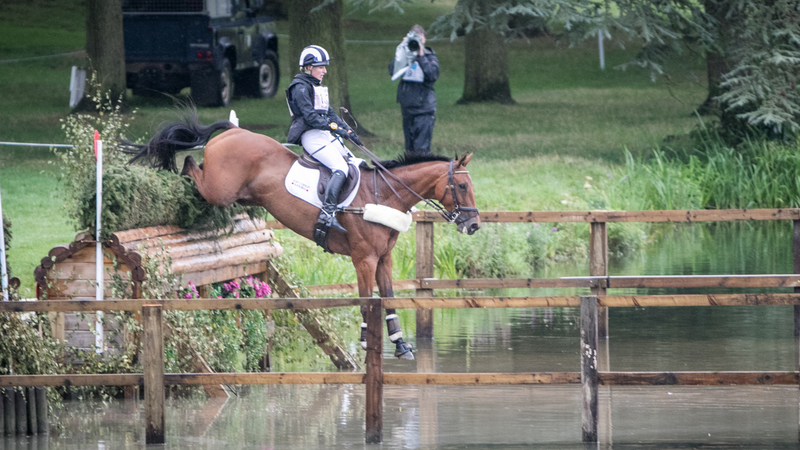 Finishing 11th and Best Brit + u25 in the CIC*** jumping round an exceptionally tough cross country course at Tattersalls International in IRELAND was also a huge highlight. I am so excited for next year and to get back out on some big cross country courses with him! My ‘best friend’ Super Nonks (NANKIN DES RUETTES) has given me some of the best fun and been the solid old man when the other young horses have been moving up a level. Once again he has jumped numerous 2* and Open Intermediate (OI) double clears picking up rosettes along the way. He will be 16 next year, and although capable, he finds the galloping at Advanced and 3* level tough, so I have made the decision he will compete solely at OI and 2* for fun. He owes me nothing and I love him to pieces. He will also do some more BSJA and will be back out after his holiday to defend his JAS Open title next year! I have been very lucky to ride lots of lovely horses this year, in particular MISERDEN RAVELLO who has proved to be a fabulous prospect for the future. She has jumped double clear in all but one event, and every showjumping outing. We also have an exciting new horse, HIGH JINKS IV, to campaign next season. Finishing runner up at the Mark Todd Bridging the Gap final was a great experience, and we’ll be back out using what we’ve learnt from the training next year! I have so many people to thank, but probably the biggest thank you has to go to my parents, in particular Mum who is continually there for me and always the unpaid groom. Also to my mentor and coach Rhian Jones who is the first person I ring on the way home from an event and makes sure the horses and I don’t fall into bad habits! I am incredibly lucky to have a fantastic team behind me; Liz Brown who is the best competition vet you could wish for, Adrian Parkes (Blacksmith), Kerry Clampton (Physio), Lucy Rodwell (Chiro) and Lorna Edgar from Baileys Horse Feeds (Nutritionalist). All my friends and family who continue to support us at Events and home, in particular Barbara Whale for all your help and Sandra Barnes for top supporter! Super Grooms Ray Pemberton and Maddie Prendergast for beautifying the horses and occasionally scraping me off the floor…also for seeing the funny side when I announce we’re taking a lorry full out everyday for a week or we have 3 horses arriving the same day! And of course a huge THANK YOU to my Sponsors; Sue Carson Saddles, Baileys Horse Feeds, Eventing Images, FMBs Therapy Systems, Equiclass Boots and Born and Bred Clothing. I adore my new Sue Carson Saddle, without Sue’s support this wouldn’t have been possible, also the best feed from Baileys and so many captured memories from Eventing Images. A special mention to the University of Bath and Santander for proving me with a sports scholarship while I study. But the biggest THANK YOU of all goes to my wonderful horses. The horses and I are having a quiet couple of months before pre-season begins… Although now I’m third year at Uni I’ve been told I actually have to do some work… (urghh! ).